A full-on fuzz with incredible amounts of sustain. 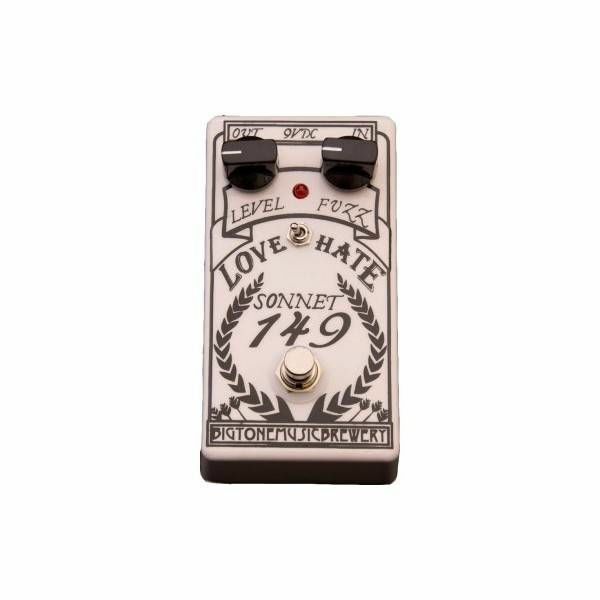 The love/hate switch provides a tonal range from vintage 60's fuzz to Nü Metal brutality. his is a full on, proper fuzz. You will not mistake it for a gritty overdrive. You will not mistake it for a hairy distortion. It is fuzz. It was designed to have more of the characteristics you want from a fuzz and less of the characteristics you don't want. Mountains of rough velcro-like texture, yet still articulate and capable of cleaning up wonderfully with the guitar's volume knob. The dark wooly tone of germanium without being boomy. The trebly bite of silicon without being too harsh. A seemingly impossible amount of sustain without being overly saturated or gated. There are even some sweet spots on the neck where you can achieve infinite sustain or feedback that can be controlled simply by bending the pitch a tiny amount, without needing to be much louder than bedroom levels. When in "love" mode, you can easily dial in vintage fuzz tones by simply rolling back on your guitar's volume knob. Turn up the volume and you have a fuzz that's ready for sludge rock, garage rock, shoe gaze, or any other type of music that requires a fuzz that's more aggressive than the typical vintage fuzz. 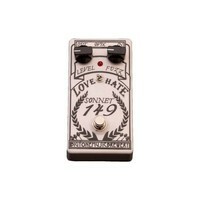 "Hate" mode turns the Sonnet 149 into a metal fuzz.